Shirts With Random Triangles: Auburn is not considering Art Briles as its next offensive coordinator. 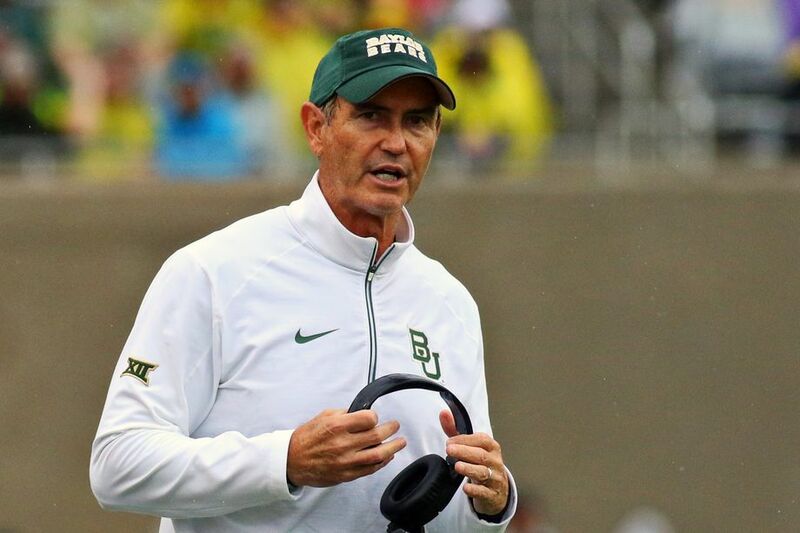 Auburn is not considering Art Briles as its next offensive coordinator. Art Briles. Image via SB*Nation. Scratch one name off the list of candidates to succeed Rhett Lashlee as Auburn's offensive coordinator. Both ESPN's Bret McMurphy and al.com have reported that former Baylor head coach Art Briles is not being considered to replace Lashlee, who is leaving to become OC of UConn. Briles had been suggested as a possible replacement for Lashlee due to his friendship with Auburn head coach Gus Malzahn. This despite being fired by Baylor in May of 2016 over the mishandling of allegations of sexual assault by members of the Baylor football team against female students of the school.